The Midlands province will go back to the drawing board and work on flushing out all factional elements that have seen the province being seen as the hotbed of factionalism, the party’s provincial chairman, Cde Daniel Mackenzi Ncube, has said. Cde Ncube’s remarks come in the wake of calls by President Mugabe that those who are not prepared to work with him and the Zanu-PF leadership should form their own party. 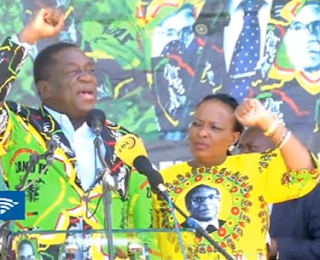 President Mugabe has since fired Vice President Emmerson Mnangagwa from Government. President Mugabe and the First Lady, Grace Mugabe are on record denouncing Masvingo and Midlands provinces for fanning factionalism in the party. In an interview yesterday, Cde Ncube said the Midlands province should start an introspection of its self and work on flushing out those fanning what he described as “factional cancer”. He said it was not good for the province to be seen as the hotbed of factionalism. “At every meeting we have reiterated that we don’t need this cancer called factionalism not only in the Midlands province, but in the party as a whole. We have denounced it and as a province, we need to look into our selves and make sure we go to the Extraordinary Congress united as ever. “As the Midlands province, we are solidly behind President Mugabe’s candidature and we have not deviated. We are preparing for the Congress and we have said, let’s go there with one voice to support the candidature of President Mugabe, he is the face of the party and we must remain united,” he said. Cde Ncube said there was no way the province can form a splinter party. “We are behind the President, there is no way one can think of forming a party. It’s cold outside Zanu-PF and we should always stand guided by the President and his visionary,” he said. Cde Ncube said as the nation prepares for the 2018 plebiscite, it was time for the Zanu-PF to remain united. He warned against those fanning factionalism to stop it and start working towards uniting the party ahead of the elections.